Latvia's national carrier is airBaltic (www.airbaltic.com), which runs direct flights to the UK, among other destinations. Other airlines flying non-stop to Latvia from the UK include Ryanair (www.ryanair.com) and the Hungarian company Wizz Air (www.wizzair.com). The major airport is: Riga International Airport. From London - 2 hours 40 minutes; New York - 10 hours (including stopover); Paris - 2 hours 45 minutes; Frankfurt - 2 hours 5 minutes. Riga has rail links with Moscow and St Petersburg in Russia, Tallinn and Valga in Estonia, Minsk in Belarus and Vilnius in Lithuania. Latvijas Dzelzceļš (Latvian Railways) (tel: 8000 1181, in Latvia only or + 371 6723 1181; www.ldz.lv) is the national rail operator. Latvia is not covered by InterRail or Eurail passes (but the latter does give you a discount on some ferry routes to Latvia). 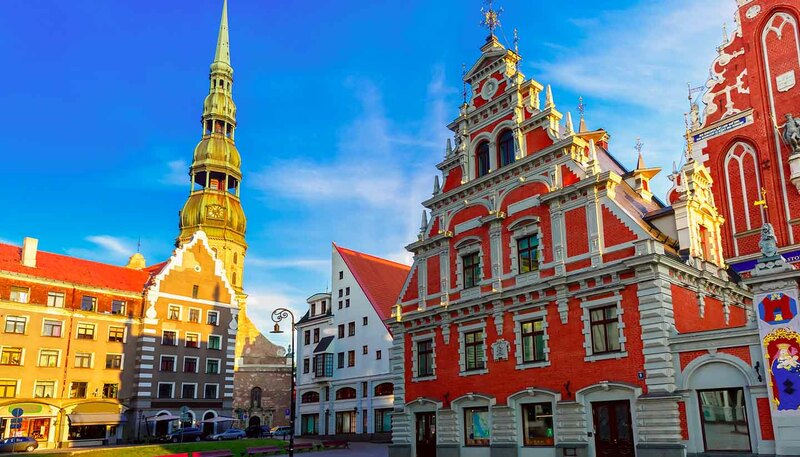 To Riga - 17 hours from Moscow; 15 hours and 30 minutes from St Petersburg; 12 hours from Minsk; 3 to 4 hours from Valga. Entry by car is possible from Russia, Estonia, Belarus or Lithuania. The Via Baltica highway runs through the Baltic countries. Riga is a major Baltic port with a sea link to Stockholm, Sweden. Other ports in Latvia also service water traffic from Germany and Sweden. Those travelling with a Eurail pass are entitled to a substantial discount on the Tallink Silja ferry route between Stockholm and Riga. Tallink Silja (tel: +49 40 547 541 222; www.tallinksilja.com) operates a ferry service between Riga and Stockholm. The journey time is approximately 16 hours. Stena Line vessels (tel: +371 6362 2999, in Latvia only or 08447 70 70 70; www.stenaline.lv) sails between Ventspils and Nynäshamn (Sweden) and Travemünde (Germany). The operator also runs the service between Liepaja and Travemünde.